Ray Ban legends collection is a new collection Ray Ban has launched in 2012. The iconic designs such as Aviator Large Metals RB 3025 and Rb 3447 Round eye have now been given new light tinted colours. Also in the collection is the Meteor 4148 and Laramie RB 4169 styles. Each sunglass features a special crystal lens colour treatment that gives truth to retro inspired styles in comtempory materials. All these styles are available in sky blue, light green and crystal rose lenses. The reason behind the Ray Ban legends collection started from Ray ban sunglasses becoming largely iconic over the last 75 years, and this range is a celebration of the success Ray Ban has had for the past 75 years. 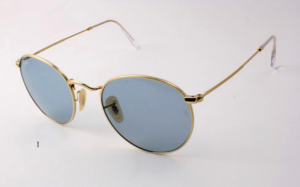 In the range is the RB 3025 Large Aviator metal, in colours 001/62 gold frame with sky blue lenses, 001/14 gold with green lenses. 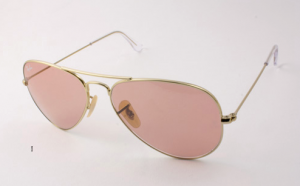 and 001/4B gold with cystal rose lenses. RayBan RB 3447 is available in 011/14 green, 001/62 sky blue and 001/4B rose. Ray Ban Laramie RB 4169 is available in 1079/4B rose, 1078/62 sky blue and 1073/14 green. 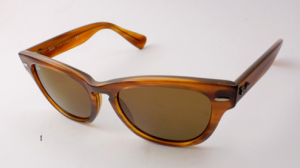 Ray Ban RB 4169 Laramie is a soft slightly upswept wayfarer styled frame with Ray ban logo on the temple area.